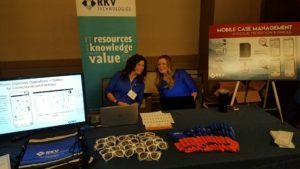 RKV sponsored and attended the Missouri Corrections Association (MCA) 2017 Fall Conference that occurred September 26 – 28, 2017. The event was held at the Lodge of Four Seasons in Lake Ozark, Missouri. RKV debuted its mobile case management solution. RKV’s solution utilizes Ronin’s platform which can access information from multiple, disparate systems and present it to a user anywhere; making it the perfect solution for Probation and Parole Field Officers. RKV has worked with Missouri Department of Corrections since the late 1990’s and successfully completed numerous projects. RKV is actively working with the Department of Corrections in New Mexico and Alaska. RKV’s Corrections domain knowledge along with Ronin’s ability to bring the Right Data to the Right Hands, Right Now will not only empower institutional and field staff but improve business processes, safety, and security. What is a Business Analyst and why is it important that my Project team include Business Analyst(s)?